The Cobra 1st Legion is back and this time they’re taking on their most vile foe yet: hunger! If there’s one thing I love about the Cobra 1st Legion, it is the dedication that these guys show in helping their communities! Not just are these men and woman fantastic ambassadors for the G.I. Joe brand but they’re also strong supporters of their own cities and townships. These fans give their time and energy to help others in a way that makes them all “Real American Heroes” in this admin’s eye. 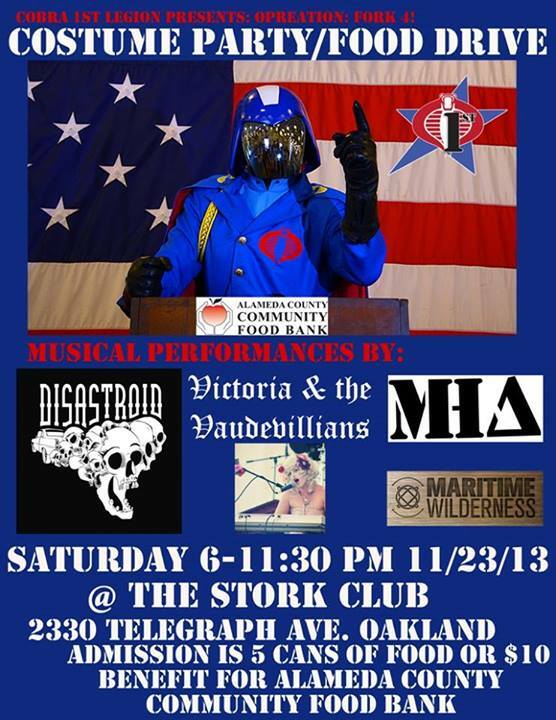 On November 23th, the Legion is taking over the Stork Club at 2330 Telegraph Ave in Oakland, CA to host a costume party and dance that will benefit the Alameda County Community Food Bank. Admission to the event is either 5 cans of food or $10 – with the proceeds to help the hungry of the Alameda County! It’s a fantastic event hosted by a great bunch of fans and featuring a number of popular CA bands including DISASTROID, Matt Holdaway’s Army, Victoria and the Vaudevillains and Maritime Wilderness. 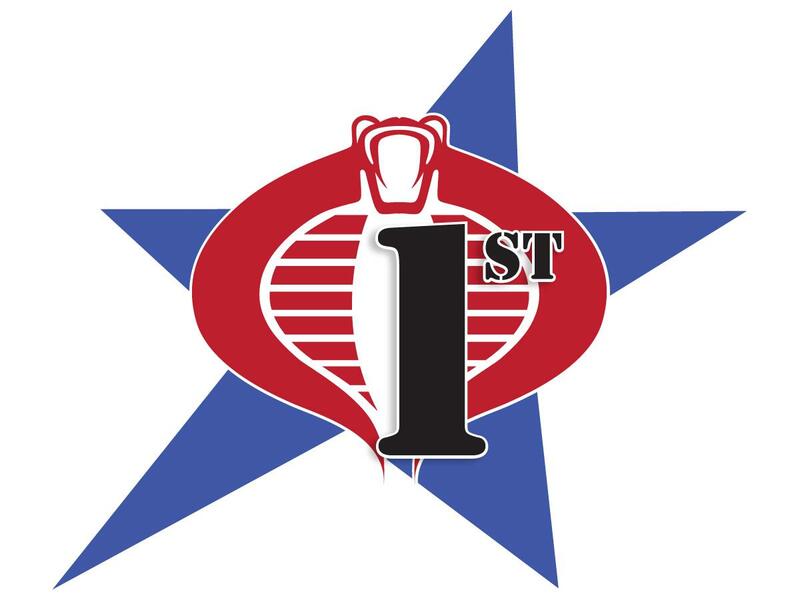 If you’re a Joe fan looking for a fun night out or just a concerned citizen looking to help those who are less fortunate, check out this event and more as the Cobra 1st Legion continues to march onward!